The Eastern Province Kings will be kicked out of the Currie Cup First Division if a proposal by SA Rugby is approved by members of the General Council. The proposal has been circulated to the 13 provincial unions. They have until close of business on Tuesday to provide their response. 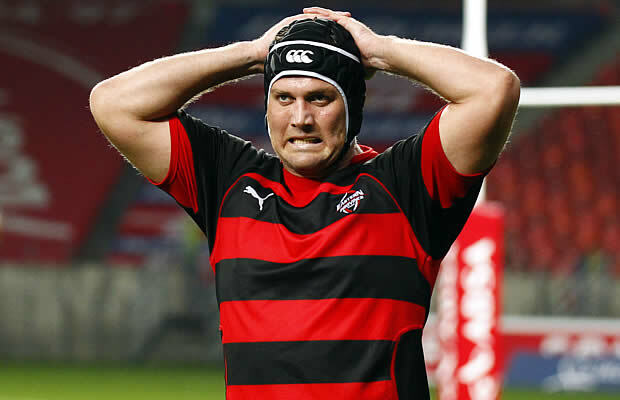 If it is approved the Leopards – who finished fourth in the qualifying competition – will replace the EP Kings and join the other qualifiers (Griquas, Boland and the Pumas) in the Currie Cup Premier Division this season. Eastern Province would join the Down Touch Griffons, South Western Districts, Border, Hino Valke and Windhoek Draught Welwitschias in the First Division. “We realise the situation is not ideal but unfortunately we had little other option than to make this proposal,” said SA Rugby CEO Jurie Roux. The change – if approved – would mean the Currie Cup Premier Division would be contested by the Golden Lions, Western Province, Blue Bulls, Sharks, Free State Cheetahs, Griquas, Boland, the Pumas and the Leopards. SA Rugby confirmed that following the Lions’ qualification for the Super Rugby final on Saturday, their provisional Currie Cup schedule has been revised and the Golden Lions will have a bye this weekend.